Is your mailbox overflowing with junk mail? Are you tired of constantly having to manage the inflow of useless letters that are promoting things you’re not even interested in? If you’ve had it with the constant inflow of unwanted mail, it’s time to take action! This article will outline some simple steps you can take to slow the inflow of junk mail into your mailbox. Junk mail is a waste of resources, and a waste of your precious time! 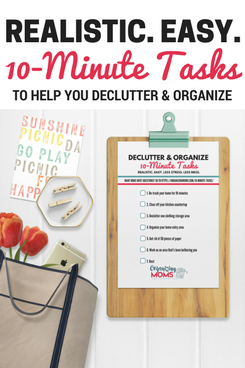 Going through the mail, separating the junk from the real mail, and then properly disposing of everything can take hours – especially if you’ve let your mail pile up. The good news is that today, you can start to take action. Here are some things you can do to stop the junk mail clutter from entering your home. Open your mail in front of the trash can. If you need to take action on certain items, write what you need to do on the envelope of the letter after you’ve opened it. (It helps to keep a marker or pen right next to your trash bin) Everything else can be recycled or thrown away. By writing what you need to do on the envelope, you don’t have to spend the time figuring out what to do with the item once you start going through your mail and paying bills, etc. Our recycle bin is in our garage, so our junk mail should never actually enter our home (in theory, of course). Sign-up for electronic statements and auto-pay. Sure, bills aren’t junk mail, but they often come with extra fliers, envelopes, and ads that you have to deal with. By signing up to receive notices electronically, you’ll be eliminating a lot of paper clutter. Stop direct mail by going to DMAchoice.org. The direct mail won’t stop right away, but you should see a reduction in the next few months. Stop phone book deliveries by going to YellowPagesOptOut.com. Stop receiving credit card offers and insurance pitches by going to OptOutPrescreen.com. Stop catalog deliveries by dealing with them as they are delivered to your home. When you receive a catalog, got to CatalogChoice.org, and request that the company no longer send you the catalog. This can take several months to actually kick in. Refuse unwanted first-class mail. If you receive an unwanted letter that was mailed first-class, you don’t have to open it. Write “Refused – Return to Sender” on the envelope and put it back in your mailbox. Most companies will remove you from their mailing lists. If you keep getting mail from the same companies, write “Take me off your mailing list” on the envelope too. Get rid of cheap mailings. If you receive something that says “forwarding service requested,” “address service requested,” or anything similar, the postage the company paid also includes return service. Do not open the letters. Get out your pen and write “Refused – Return to Sender” and “Take me off your list” on these envelopes, and send it back to the company. Getting rid of everything else. For some mailings, you’ll need to call the company directly and ask them to remove you from their mailing lists. Depending on how much time you want to spend, and how much junk mail you’re receiving, this may not be worth your time. Going forward, be mindful of where you give out your contact information. Only give it out if absolutely necessary. Often contest entries and product warranty card information is sold to direct mail companies. If you are required to give out your info, write “Do not share, sell, rent, or trade my information,” on the form. Doing all of this is a lot of work, but after a month or two, you will start to see a reduction in the amount of junk mail you receive. If you also start to request paperless billing and statements from the companies you actually DO need to hear from, you’ll notice an even bigger change. 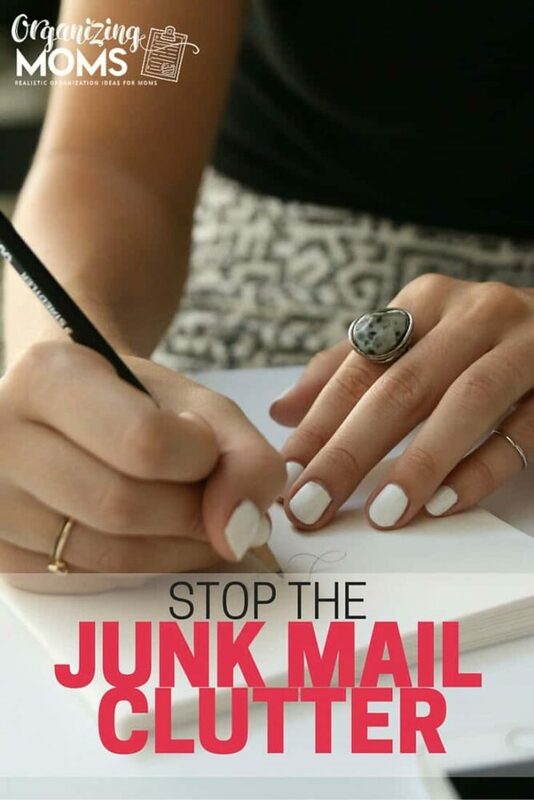 Have you taken any steps to reduce junk mail clutter? What worked for you? 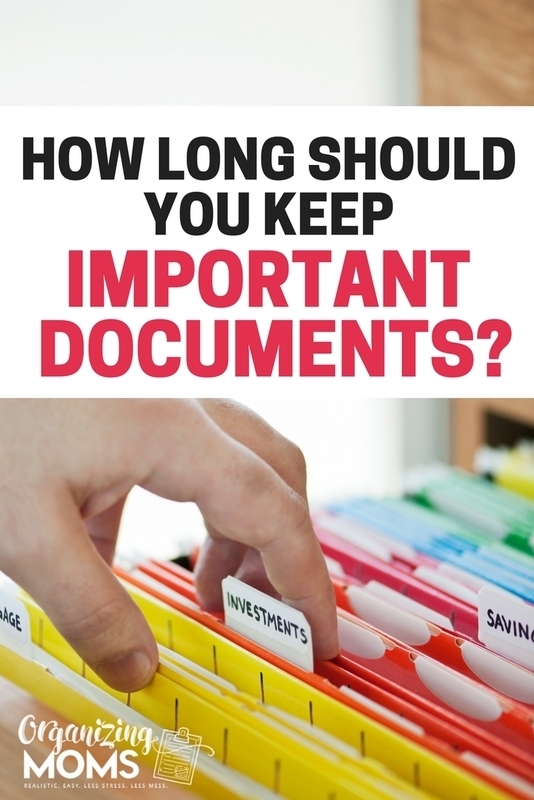 GET ACCESS TO MY FREE HOW LONG TO KEEP IMPORTANT PAPERS CHEAT SHEET! I'd like to sign up for the free Paper Organization Challenge too!